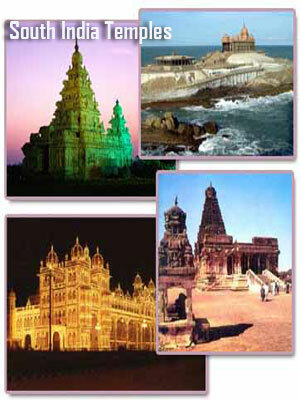 South India is very popular for its touristic cultural diversities and natural places. There are a vast list of touristic natural places you can enjoy. What package to choose in South India tours south india tours packages, southindia tours packages for south india, package tours for south india, south india tours, south india tours, south india tour package, tour package to south india, south india tour, south india travel packages, tours of south india, tour operators in south india, south india tourism, south india tour packages, india tour packages, south india travel packages, indian travel agents for south india, travel package in india, india south tours, package tour of india, chennai travel, mahabalipuram tour, pondicherry tourism, cochin backwater tours,tours and travel in south india, south india cultural tours,travelling in india, south india tourism,South india tour transport,south india tour taxi service,south india tour from chennai,south india tours packages from cochin. Here we list our package. If you ever visited south India and haven't visited Mahabalipuram, then definitely you missed a lot.Our package has Mahabalipuram, which is the touristic place where you can see carvings and monuments which belongs to Pallava dynasty. Arjuna's Penance, Varaha Cave, Tirukalikundram are the other few spots you will enjoy. That's why we add Mahabalipuram to our tours and packages. We add Kancheepuram to our package tours because it is the fabled city of a thousand temples in South India. There are 650 stone inscriptions in Kanchipuram belonging to different dynasties. Vedantangal- birds sanctuary, Muttukkadu, Covelong, Crocodile Bank, are the other famous places that comes with our tours package. Puducherry and Aurobindo Ghosh are inseparable. The famous nationalist leader, who turned mystic in later part of his life, made Puducherry popular among the foreigners. Auroville, The French Heritage, Serenity Beach, Arikamedu, The Statue of Dupleix,19th Century Light House are the other famous spots in south India.. The fort at Gingee is the most spectacular and strategic of all forts in Tamil Nadu. It rose to prominence in the 16th century under the Nayakas when most of the fortifications, temples and granaries were built. Thiruvannamalai is an ancient city named after the holy mountain "Tiruvannan Malai". Geologists consider this mountain is older than The Himalayas. Kumbakonam is a famous temple town, located in the Thanjavur District. Kumbakonam is called temple town because of the large number of temples within the town. Airavatesvara Temple, Kumbeswara Temple, Chakrapani Temple, are the important temples in our package. Tanjore is also known as Thanjavur, was the ancient capital of the Cholas, Nayakas and later the Maratha rulers. It was during the Chola period when Thanjavur reached the zenith of glory. Madurai is the oldest city in Tamil Nadu and was home to the ancient Tamil Sangam, the literary conclave that produced the first epic, Silappathikaram in India. You will enjoy our Package tours.